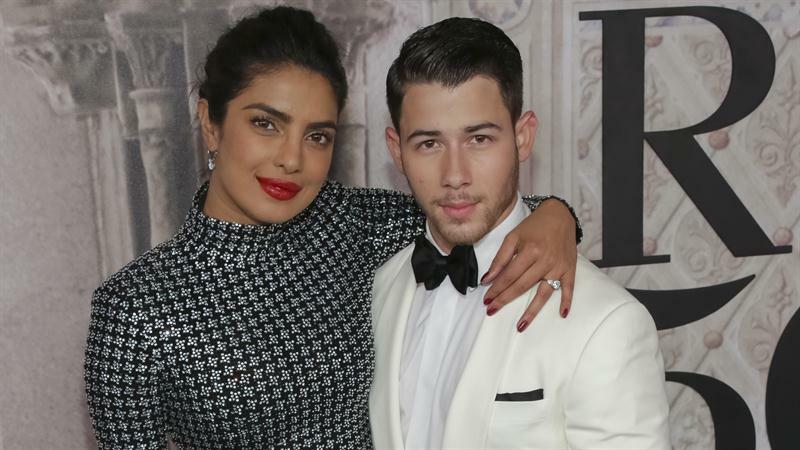 Nick Jonas is definitely ready to walk down the aisle with fiancée Priyanka Chopra, and he can’t stop gushing about his “beautiful” bride-to-be. Priyanka celebrated her bachelorette party in Amsterdam over the weekend with her nearest and dearest, including her sister Parineeti and her future sister-in-law Sophie Turner. Parineeti shared tons of photos on her Instagram of the special occasion celebrating her global icon sister, including a sweet one where they are sharing a hug and laughing. Nick couldn’t help but slide into the comments on the photo. “Wow she’s so beautiful . Any chance you can introduce me?” he joked in the photo of his ladylove. Clearly Nick already has a good relationship with Priyanka’s siblings if he can joke around like this! Earlier this year he spent time hanging out with her family in India and played soccer with Priyanka’s brother. Nick and Priyanka are reportedly planning to marry in India before the end of the year.